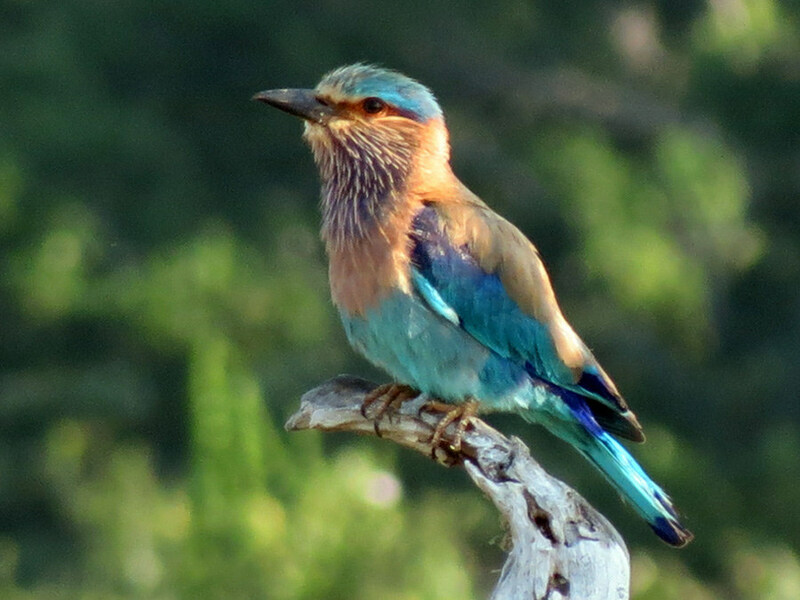 Warm, tropical Sri Lanka nestles in the azure waters of the Indian Ocean and is blessed with beautiful beaches, sacred Buddhist temples, ancient architectural riches, stunning national parks, amazing wildlife and a friendly, cricket loving population. 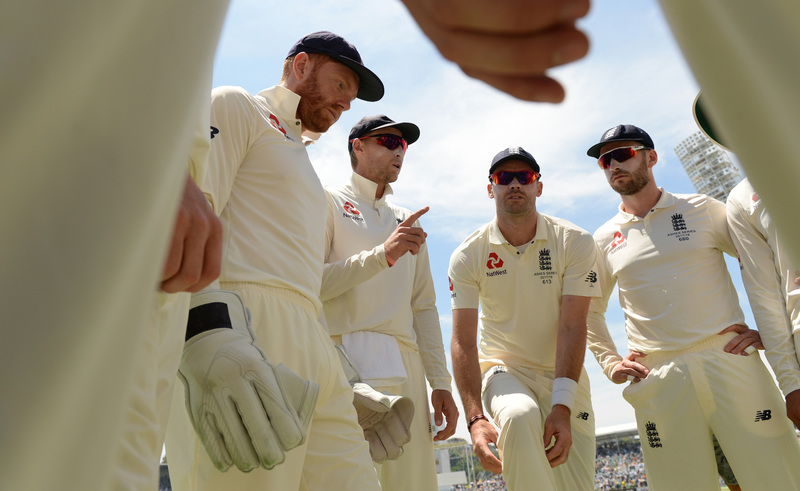 England's Cricket tour to Sri Lanka offers you the prefect opportunity to discover a truly beguiling island, while following the Test or One Day Series. First up are 5 One Day International’s in October, which we are featuring in our Ceylon Experience Tour, a great two week trip featuring many must-sees like Sigiriya Rock, the elephants at Minneriya and the Temple of the Tooth in Kandy. For followers of Test cricket, we have created The Grand Tour, which takes place during November and combines the Galle, Kandy and Colombo Tests with many unique touring experiences. If you are unable to follow the entire Test series, we also offer single and multi-Test options. Our superb value, small group escorted tours are relaxed and sociable adventures, packed with holiday inclusions that will showcase the islands' unique sights and attractions. When traveling so far from home it’s great to know you'll be staying in luxury accommodation and looked after by an experienced and highly professional local team. When it comes to the cricket, we are delighted to be joined by our ever popular and charismatic cricket hosts, Bob Taylor & Clive Radley. All tours can be tailored to your own personal requirements; so if you want to include international flights, extend your stay or add a luxurious beach stay in the Maldives, please contact the office as we are here to help you plan your perfect holiday. Enjoy the security, convenience and companionship of our escorted tours, safe in the knowledge that your itinerary, sightseeing and excursions have been carefully planned and will be escorted by an experienced local tour manager. Holidays are not only about what you will see and experience...they're also about the people you meet and the great times you share. As well as exploring new and exciting places, one of the best discoveries you'll make is the group spirit and camaraderie of your fellow travellers. Being part of a small group you will quickly make friends with other travellers and your cricket hosts, like-minded people from all walks of life. Many of the people who join us on one of our holidays are travelling by themselves, so if you’re a solo traveller, rest assured that you’ll be with other like-minded people. On any given departure, you’ll find a mix of couples and friends travelling together, as well as other solo travellers. One of the great benefits of our trips is that they allow you to be independent but provide security and company whenever you choose. Welcome drink receptions, Q&A cricket forums and tour dinners are planned to let you meet your fellow travellers, tour host and local tour manager in an informal and social setting. These popular gatherings allow you to debate England’s current performance, while your tour host provides a personal insight and analysis of the England' team. Cricket is a national passion in Sri Lanka and is played and supported with great enthusiasm throughout the country. The National team are held in high regard by a population steeped in the Buddhist faith and a highly charged and exciting atmosphere is guaranteed at the grounds. 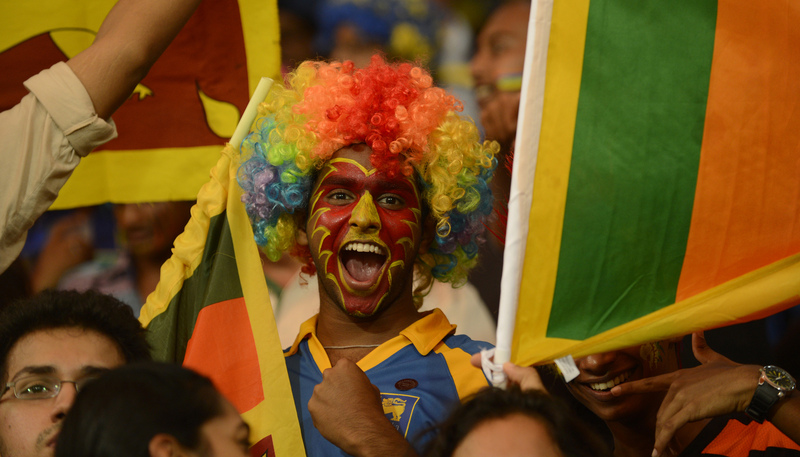 All match tickets are guaranteed as we purchase directly from the Sri Lanka Cricket Union (SLC). Top priced, non airconditioned match tickets will be supplied, wherever possible in shaded sections of the ground. We have included excursions that will capture the heart and soul of this fascinating country. Discover ancient cities, World Heritage sites, spectacular mountain scenery, tea plantations, national parks and elephant reserves. As you travel around this beautiful island, you will also enjoy some great food and a wonderful reception from the genuinely warm and hospitable locals. Our holidays exclude international flights as increasing numbers of clients are now happy to book their own flights online. Rather than impose a ‘one size fits all’ flight policy, we give you the freedom to choose when you fly, your departure airport, airline and seat category. If you would like a flight inclusive holiday price, we will happily quote the best available market fares at the time of booking/quoting. 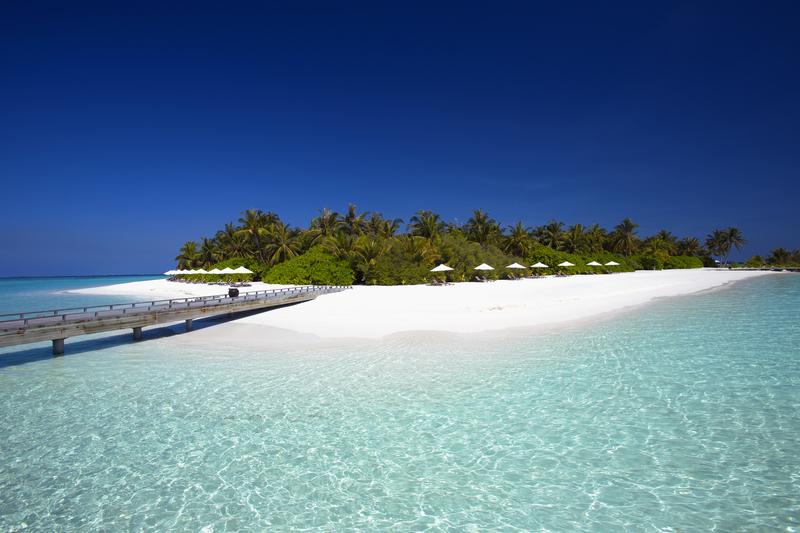 How about adding a few days rest and relaxation on your very own desert island! The Maldivian archipelago stretches like a ribbon across the deep blue waters of the Indian Ocean and offers countless islands topped with stunning resorts, each offering a paradise of soft sand and azure waters. Male is the entry point to the Maldives and is just over an hours flight from Colombo, so it's more accessible than you might think! Holidays where we book your chosen flights for you are ATOL protected by the Civil Aviation Authority - our licence number is ATOL5493. All British visitors require a standard 10 year passport, valid for at least 6 months beyond your planned date of return to the UK. An Electronic Travel Authorisation (ETA) is required for all visitors - please visit www.eta.gov.lk for further information. The Grand Tour explores the diverse wonders of Sri Lanka as you follow England throughout this enchantong island. Discover spectacular scenery, incredible wildlife, stunning beaches, ancient archaeological sites, fragrant tea plantations, World Heritage Sites and much more. 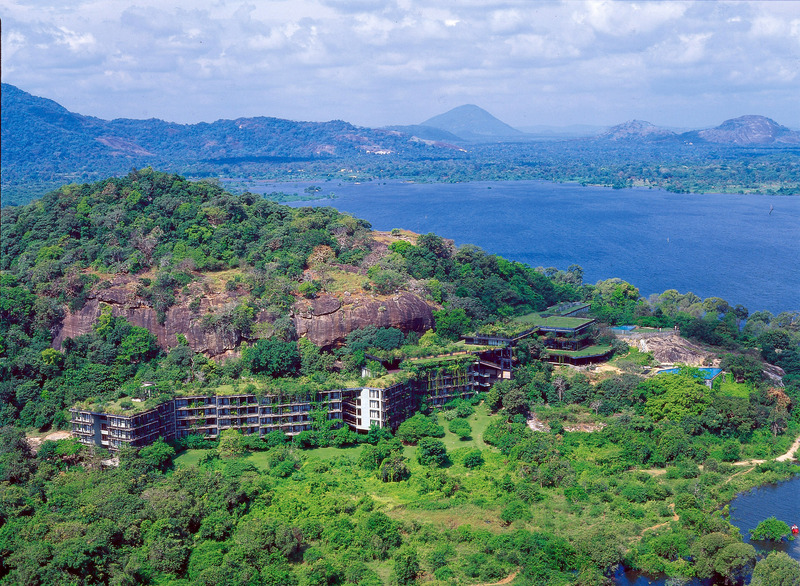 Highlights include the UNESCO sites at Sigiriya and Polonnaruwa, picturesque Kandalama and the lovely lakeside city of Kandy, sun kissed beaches along the south coast and an exhilarating wildlife safari in Minneriya National Park. You can join the tour when you like, so check out our single and multi Test options. The tour price is per person, sharing a twin/double room, bed & breakfast basis. Rather than impose a ‘one size fits all’ flight policy, we have excluded flights to give you the freedom to choose when you fly, your departure airport, airline and seat category. Arrive at Bandaranayake International Airport where you will be met and transferred to the five star, Marriott Resort & Spa, Weligama for seven nights - transfer time approx 3 hours. Relax and acclimatise to your new surroundings. Tonight you are invited to meet your fellow travellers and tour host for welcome drinks & dinner. 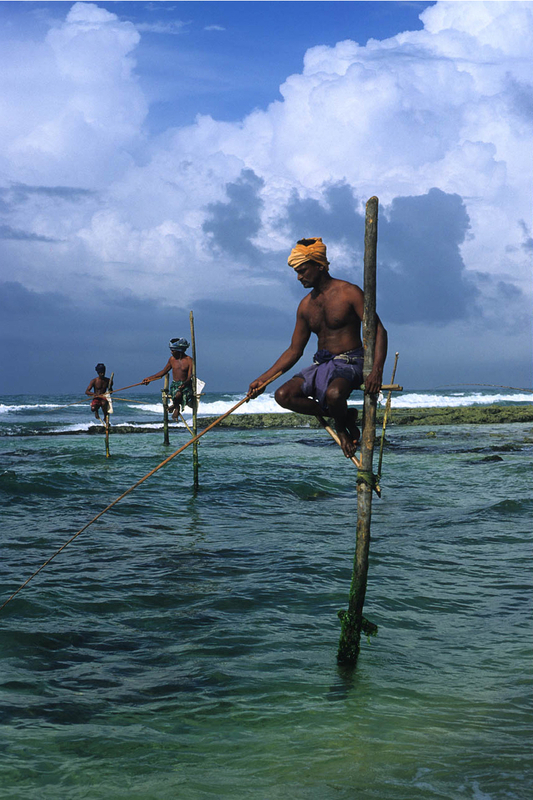 After breakfast we have arranged a half day sightseeing tour exploring the south coast, visiting the Stilt Fisherman at Koggala, Martin Wickramasinhe Folk Art Museum and Galle Fort. Following lunch at Rampart Hotel, return to the hotel for a relaxing afternoon in the sun. Stadium transfers will be provided - approx 45 minutes each way. During the week enjoy a Q&A forum with your tour host. 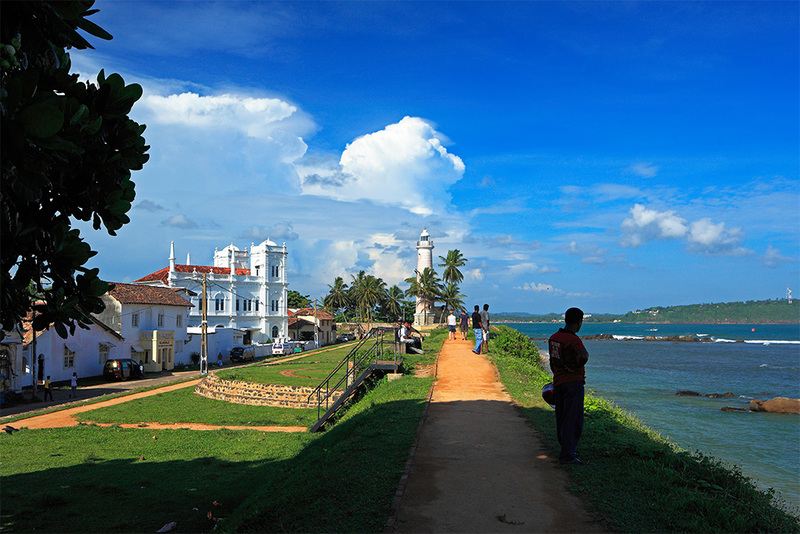 Galle is a history lover’s paradise, and home to one of Sri Lanka’s seven UNESCO World Heritage Sites, the Dutch Fort. Not only is this south Asia’s best reserved sea fort, but it is also home to churches, mosques, temples and some beautiful examples of colonial architecture. After breakfast its time to leave the coast and drive north to Nuwara Eliya - a scenic 6 hour drive, stopping on route for lunch at a local restaurant. As you head to the central province, Sri Lanka's classic hill country unfolds with a landscape of tea estates, waterfalls and colonial-era hotels. Arrive Nuwara Eliya and check-in to the Grand Hotel for two nights. After breakfast we are offering an optional morning excursion to Horton Plains National Park (about 1½ hours drive), a UNESCO World Heritage Site, famed for its trekking, stunning flora and fauna as well as breathtaking views. Aimed at the more active members of the tour party, the morning trek will cover about 9km. In the afternoon enjoy a visit to a local tea plantation where you will have the opportunity to pluck and taste tea as well as learn about the manufacturing process. The day ends with a sumptuous 'High Tea' at the Grand Hotel. After breakfast, its time to leave Nuwara Eliya and drive to Kandy (journey time about 2½ hours). Check into your hotel, the Earls Regency for 6 nights. Later we will drive around the sacred Buddhist city, last capital of the Sri Lankan kings and now a World Heritage Site, where we will visit the famous Temple of the Sacred Tooth, which houses what is believed to be an ancient relic of Lord Budha. Tonight enjoy welcome drinks, canapes and a private cultural performance at your hotel. Stadium transfers will be provided - approx 20 minutes each way. 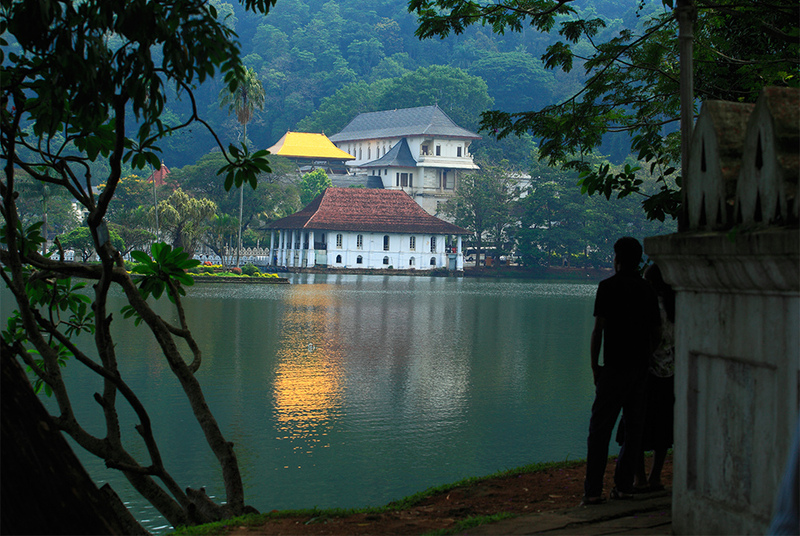 Sri Lanka’s second largest city, Kandy is famed not only for its history, artefacts and temples, but also for its tea, stunning scenery and lush botanical gardens. Surrounding Kandy are rolling tea plantations and mountainous thickly forested hills that offer fantastic walking and hiking opportunities. After breakfast, the tour heads north to Kandalama. On arrival, check-in to the Heritance Kandalama for three nights - transfer time approx 3 hours. Time to relax and enjoy your picturesque setting, the tropical gardens and pool. 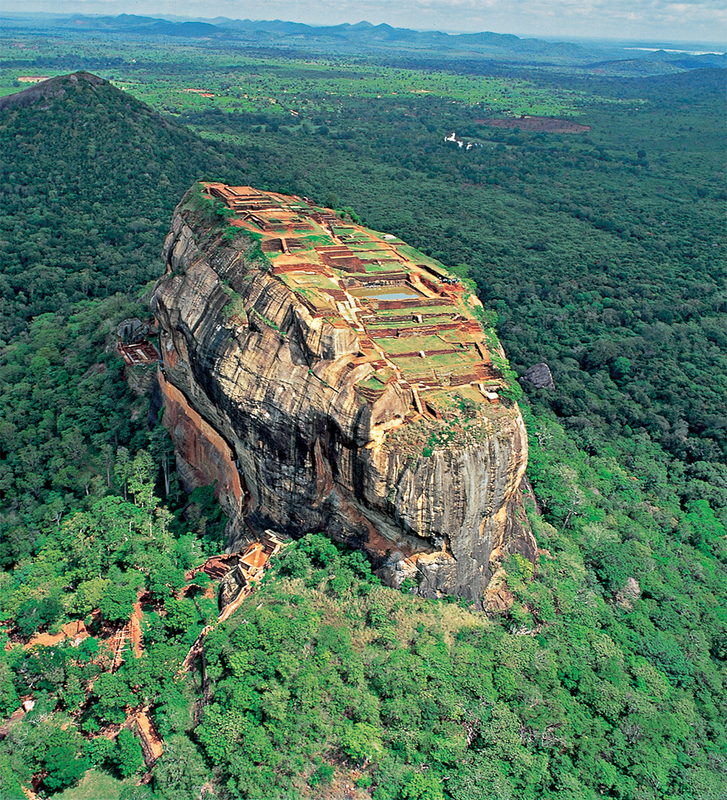 The heart of Sri Lanka is awash with monuments to times gone by, ancient artefacts, frescoes, ruins and so much more. Later today we head to Sigiriya to climb the impressive rock fortress, admiring the colourful frescoes that adorn the side of the rocks along the way. This is a challenging climb of some 1200 steps and only recommended for the fit and active. The views from the top of the fortress make the climb well worthwhile. Following breakfast we drive to the World Heritage site of Polonnaruwa, about 2 hours from the hotel. 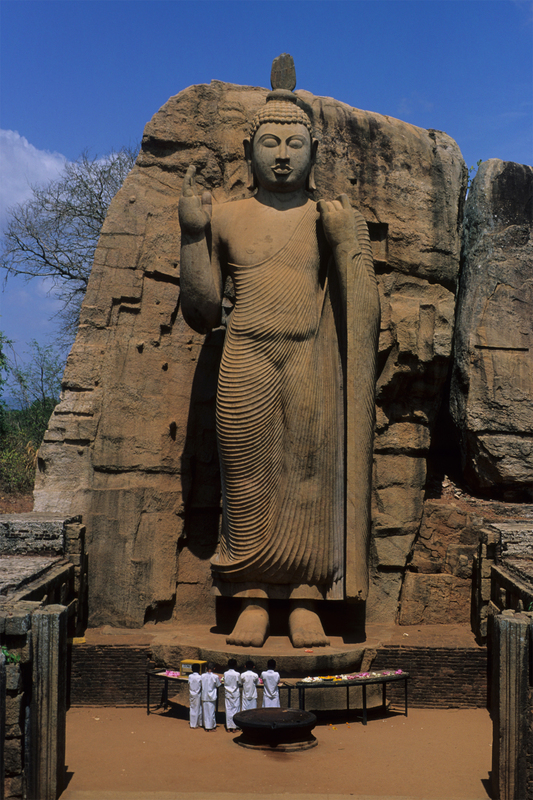 Polonnaruwa is a sacred city with spectacular shrines and statues from the great Buddhism civilisation. Visit the ruins of the Royal Palace and Gal Viharaya (three splendid carved statues of the Buddha), the Lotus Bath and 12th century Polonnaruwa statue. Enjoy lunch at Deer Park Hotel, then leave Polonnaruwa and drive to Minneriya National Park (1 hours drive) for a late afternoon game drive. 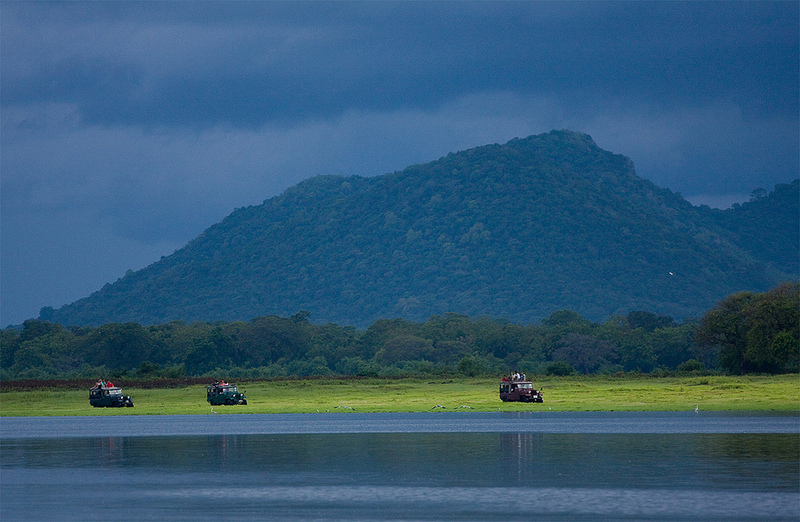 Spreading over 8800 hectares, this is a sanctuary for elephants as well as native birds, deer, amphibians and reptiles. Return to your hotel following a great day's sightseeing. Nothing is planned for today so sit back, relax and enjoy the excellent facilites offered by your hotel. Today we visit Dambulla, a cave temple complex, also called the Golden Temple of Dambulla and a World Heritage site - 30 minutes drive from Kandalama. The complex is made up of approximately 80 caves, of which five are filled with paintings and statues including 152 Buddha statues, 3 statues of Sri Lankan kings and 4 statues of gods and goddesses including the two Hindu gods, Vishnu and Ganesh. Our journey continues to the port city of Colombo, about 4 hours drive, where we have included a brief city tour before you check into your hotel, the Cinnamon Grand for a 6 night stay. Tonight enjoy welcome drinks & canapes with your tour host. Stadium transfers will be provided - approx 30 minutes each way. 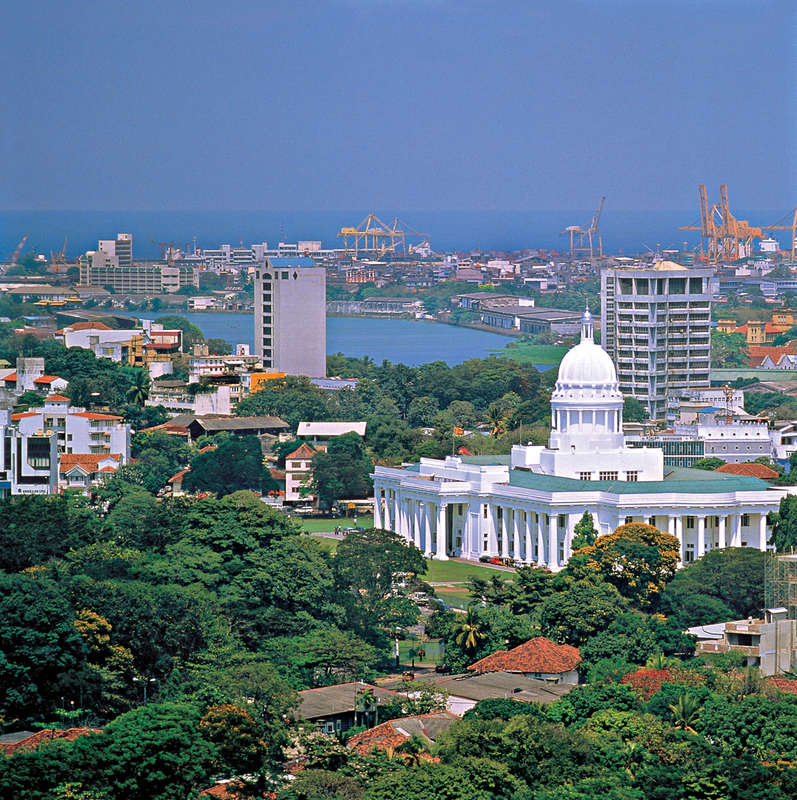 Colombo is a blend of old and new, with a modern skyline growing alongside period, colonial buildings from a bygone age. The city bursts with life as the streets fill with colourful saris and parasols bustling along streets bathed in sunshine. Tuk tuks weave amongst the traffic; their passengers disappearing into the array of restaurants that are peppered throughout the city. Tonight you are invited to join your host and fellow travellers for our end of tour dinner. Includes a buffet dinner and drinks. Following breakfast its time to prepare for your journey home. You will be transferred to the airport in plenty of time to complete check in formalities for your flight home. All flights, Sri Lankan Visa, meals other than breakfast and selected lunches and tour dinners, travel insurance, pre-seating charges applied by airlines and items of a personal nature. When we book your flights you will receive financial protection under the ATOL scheme. We will quote the best available market fares at the time of booking. Sri Lankan Airlines fly direct to Colombo, while indirect airlines include Emirates (via Dubai), Etihad (Abu Dhabi), Qatar (via Doha) and Jet Airways (via Mumbai). Fly from Heathrow, Gatwick, Manchester & Birmingham depending on your choice of airline. As soon as you arrive your senses are overwhelmed. Enjoy a night at the beach meeting your fellow travellers. In the morning its time to head to Sri Lanka's cultural heart and experience historical ruins and sacred temples, stunning national parks and amazing wildlife. 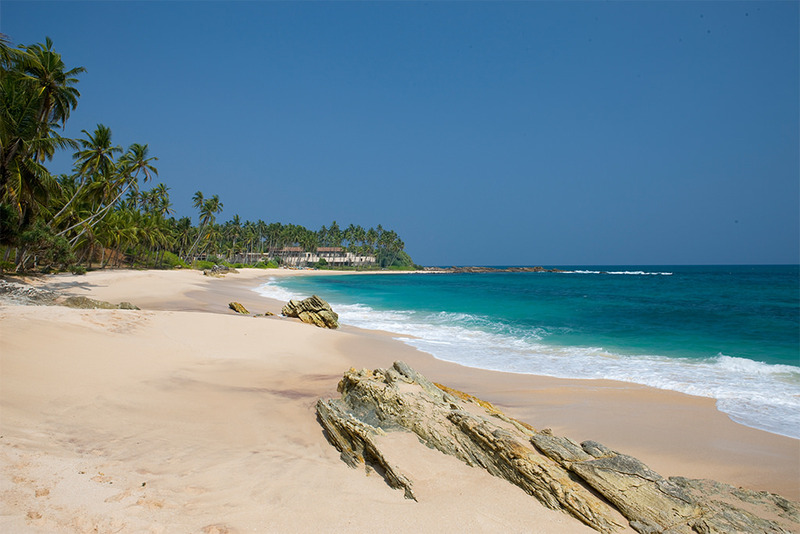 Spend a few days on a glorious east coast beach before heading to the mountainous lakeside city of Kandy. 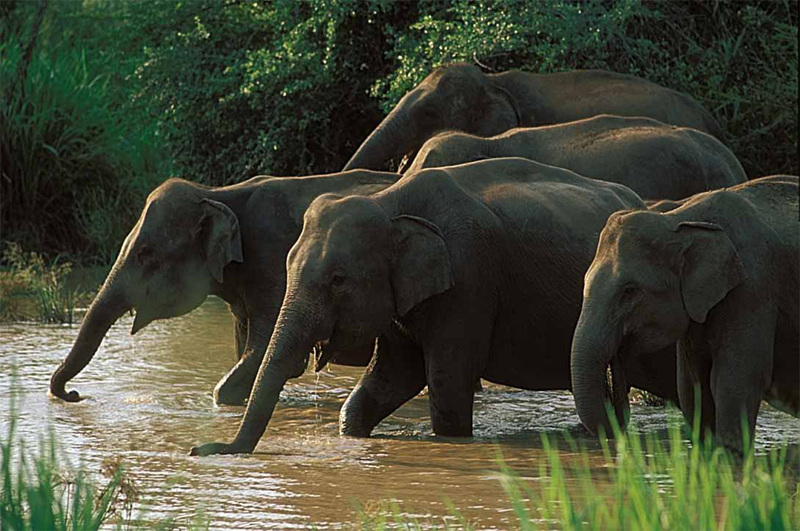 Visit a tea factory and elephant orphanage before travelling to the vibrant capital of Colombo. 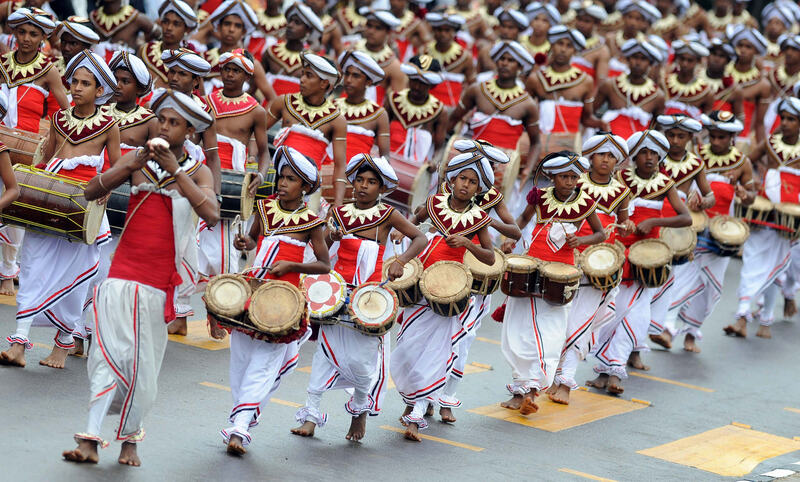 Your holiday combines great cricket with the very best sights and attractions that Sri Lanka has to offer. 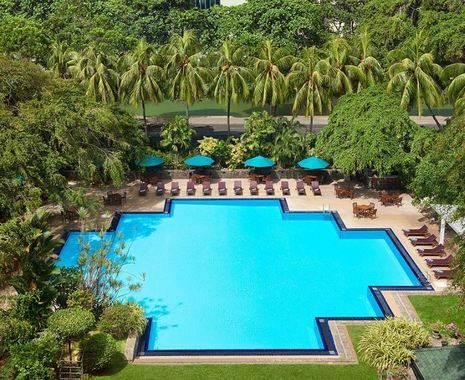 Arrive at Bandaranayake International Airport where you will be met and transferred to Negombo (20 minutes drive) and your luxury beachfront hotel, the Heritance Negombo for one night. Relax and acclimatise to your new surroundings. Tonight you are invited to meet your fellow travellers and local tour manager for Welcome drinks & buffet dinner. After breakfast it is time to leave the coast and head to the heart of the cultural triangle - transfer time approx 3½ hours. Lying just to the south of Dambulla is the lakside village of Kandalama and the luxury Heritance Hotel, your base for the next 5 nights. Your hotel provides the perfect location from where to explore the temples, ancient cities and wildlife of this fascinating region. Return transfers will be provided - approx 30 minutes each way. Following breakfast we head to Sigiriya (30 minutes drive) to climb the impressive rock fortress, admiring the colourful frescoes that adorn the side of the rocks along the way. This is a challenging climb of some 1200 steps and only recommended for the fit and active. The views from the top of the fortress make the climb well worthwhile. Next we head to the World Heritage site of Polonnaruwa, about a 2 hour drive. 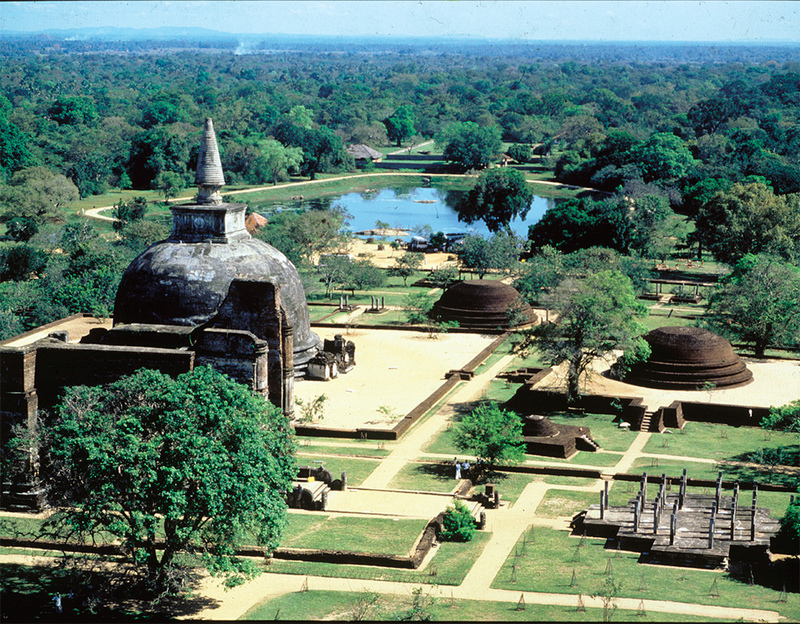 Polonnaruwa is a sacred city with spectacular shrines and statues from the great Buddhism civilisation. Visit the ruins of the Royal Palace and Gal Viharaya (three splendid carved statues of the Buddha), the Lotus Bath and 12th century Polonnaruwa statue. Return to your hotel late afternoon - transfer time approx 1½ hours. Transfer to Dambulla (30 minutes drive) and visit the Golden Temple of Dambulla, a UNESCO World Heritage Site. Return to the hotel and relax before it's time to drive to Minneriya National Park for an afternoon game drive - transfer time about 1 hour. Spreading over 8800 hectares, this is a sanctuary for elephants as well as native birds, deer, amphibians and reptiles. Return to your hotel (about a 40 minute drive) following a great day's sightseeing. Tonight enjoy a Q&A forum with your host ahead of the 2nd One Day match. After breakfast, leave the cultural triangle and head to he coastal resort of Passikudha which is situated on the island's tranquil east coast - about a 3 hour drive. Set right in the centre of the sweeping bay, your resort is the perfect spot to relax on the sands, by the pool or in the spa. 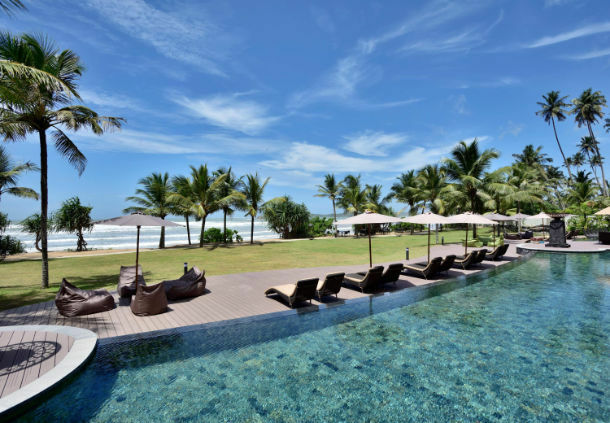 Stay at the first class Ananthaya Resort for 2 nights. Enjoy a final morning on the beach, before it is time to leave the coast and head to picturesque Kandy - about a 4 hour drive Sri Lanka’s second largest city is famed not only its history, artefacts and temples, but also for its tea, stunning scenery and lush botanical gardens. Surrounding Kandy are rolling tea plantations and mountainous thickly forested hills that offer fantastic walking and hiking opportunities. Check into the first class, Earls Regency Hotel for 5 nights. Return stadium transfers will be provided - approx 20 minutes each way. After breakfast, transfer to Pinnawala and visit the famous Elephant Orphanage - transfer time approx 1½ hrs. As you enter the 25 acre coconut property, do not be surprised to witness baby elephants being bottle fed or moving around freely causing absolutely no harm to anyone. Watch as they are lead to the river for a refreshing bath - a quite unique wildlife experience. 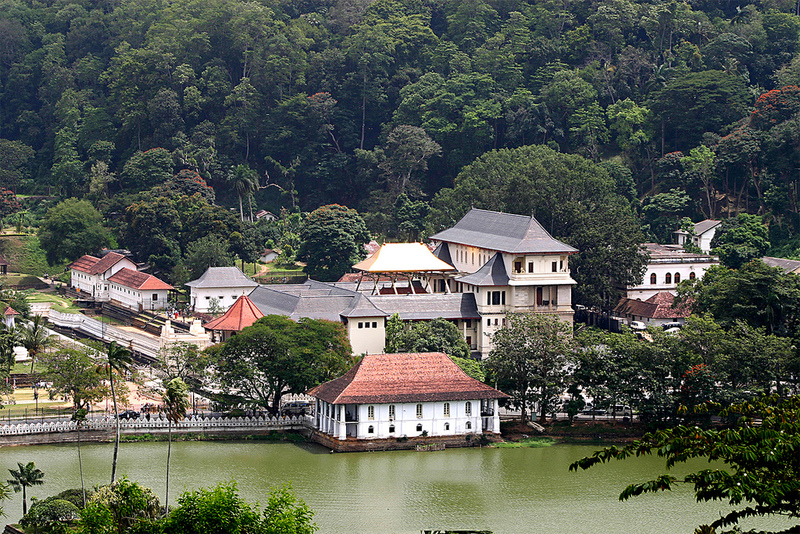 Following lunch at Elephant Bay Restaurant, return to the bustling city of Kandy and visit its most famous attraction, the famed Temple of the Sacred Tooth and a local bazaar. Today begins at the Royal Botanical Gardens in Peradeniya (about 45 minutes drive) where you will find a vast selection of Sri Lanka's native flora as well as many exotic species. This will be followed by a visit to Giragama Tea Facory to understand more about the process the leaves go through between the plant and your cup! Tonight you are invited to join your host for pre-dinner drinks and canapes. Return stadium transfers will be provided - about 20 minutes each way. 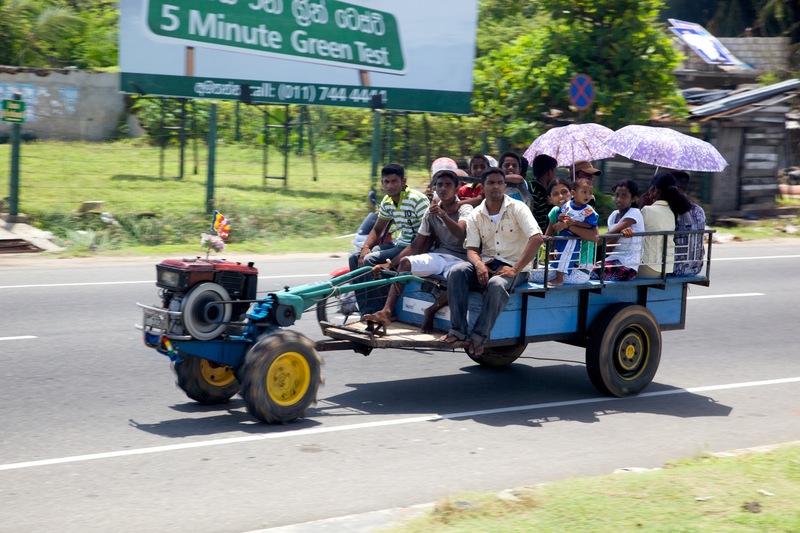 Time to leave Kandy and head to the port city of Colombo - about a 4 hour drive. Colombo is a city that is changing its face - a blend of old and new, with a modern skyline growing alongside period, colonial buildings from a bygone age. The city is full of life, the streets full of colourful saris and parasols and the roads full of tuk tuks weaving amongst the traffic. Check into your luxury hotel, the Cinnamon Grand for 3 nights. Today you have a choice of excursions. You can break away from the city and visit a local village - approx 1½ hrs drive. In Bandaragama, we will explore the pathways of the rural village, seeing ancient temples, paddy fields, pineapple, cinnamon and rubber plantations. A rice and curry lunch will be served to you at a village house. After lunch return to Colombo for a brief orientation tour before stopping for a beer at the Dutch Hospital complex on you way back to the hotel. Alternatively how about spending a morning with a local cook and enjoy a master cooking class. Be inspired by the Malay and Sinhalese cuisine and their Tamil neighbours with a mouth watering repertoie of rices, curries, sambols and salads. After cooking, sit down and enjoy lunch together before heading back to the hotel. Tonight we have arranged our end of tour dinner at the hotel. Return stadium transfers will be provided - about 30 minutes each way. Please complete check-out formalities, remembering to settle any personal costs directly with the hotel. You will be transferred to the airport in plenty of time for your flight home. All flights, Sri Lankan Visa, meals other than breakfast,selected lunches and special tour dinner, travel insurance, pre-seating charges applied by airlines, excess luggage costs and items of a personal nature. Featuring your choice of the Galle, Kandy and Colombo Tests. Based on the Grand Tour Itinerary, simply choose how many Tests and how long you want to be away. We have given five holiday options but anything is possible, so please call our team to discuss your travel plans. Tour price is per person sharing a twin/double room, on bed & breakfast basis. Single traveller supplements apply if only one person is occupying a room. International flight prices will be quoted on request. After breakfast we have arranged a half day sightseeing tour exploring the south coast, visiting the Stilt Fisherman at Koggala, Martin Wickramasinhe Folk Art Museum and Galle Fort. Return to the hotel for a relaxing afternoon in the sun. Return transfers will be provided - approx 45 minutes each way. Complete check out formalities, remembering to settle any personal expenses with the hotel. Meet your driver in the hotel lobby for the transfer to Bandaranayake International Airport - transfer time approx 3 hours. 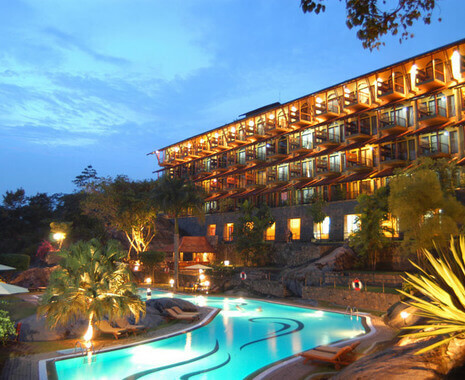 Arrive at Bandaranayake International Airport where you will be met and transferred to Kandy - about 3 hours drive and the five star, Earls Regecny Hotel for 6 nights. Relax and acclimatise to your new surroundings. Tonight you are invited to meet your fellow travellers and cricket host for Welcome drinks, canapes and a private cultural show at your hotel. Sri Lanka’s second largest city, Kandy, is famed not only for its history, artefacts and temples, but also for its tea, stunning scenery and lush botanical gardens. Surrounding Kandy are rolling tea plantations and mountainous thickly forested hills that offer fantastic walking and hiking opportunities. After breakfast, we drive north to Kandalama. On arrival check-in to the Heritance Kandalama for three nights - transfer time approx 3 hours. Time to relax and enjoy your picturesque setting, the tropical gardens and pool. 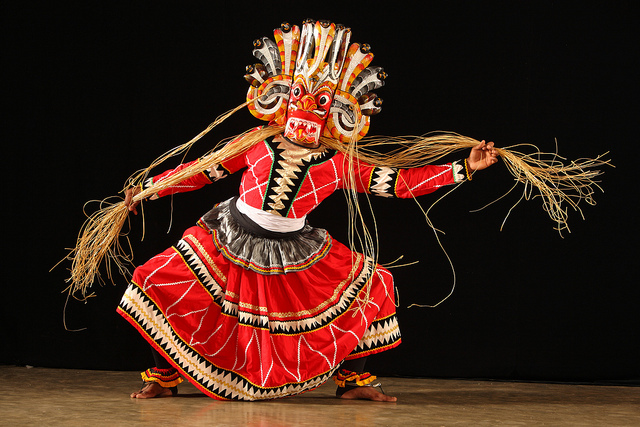 The heart of Sri Lanka is awash with monuments to times gone by, ancient artefacts, frescoes, ruins and so much more. Later today we head to Sigiriya to climb the impressive rock fortress, admiring the colourful frescoes that adorn the side of the rocks along the way. This is a challenging climb of some 1200 steps and only recommended for the fit and active. The views from the top of the fortress make the climb well worthwhile. Following breakfast we drive to the World Heritage site of Polonnaruwa, about a 2 hours from the hotel. 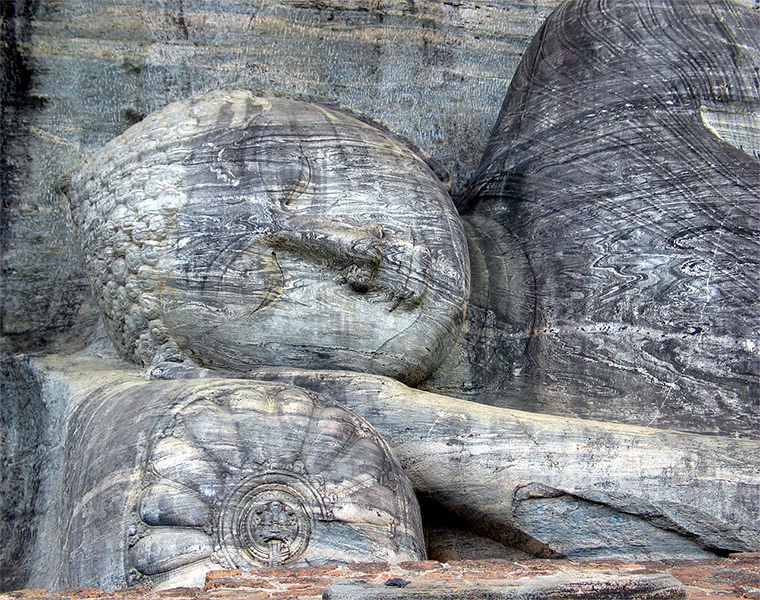 Polonnaruwa is a sacred city with spectacular shrines and statues from the great Buddhism civilisation. Visit the ruins of the Royal Palace and Gal Viharaya (three splendid carved statues of the Buddha), the Lotus Bath and 12th century Polonnaruwa statue. Leaving Polonnaruwa and drive to Minneriya National Park (1 hours drive) for a late afternoon game drive. 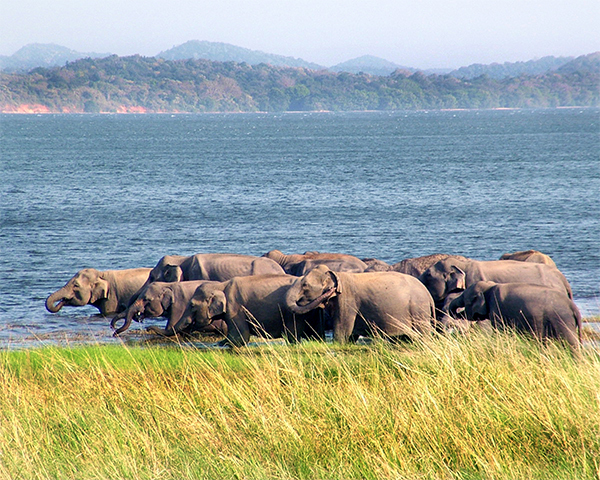 Spreading over 8800 hectares, this is a sanctuary for elephants as well as native birds, deer, amphibians and reptiles. Return to your hotel following a great day's sightseeing. Complete check-out formalities and meet your driver in the hotel lobby. Early morning transfer to Colombo Airport for your flight home - transfer time about 3½ hours. Arrive at Bandaranayake International Airport where you will be met and transferred to the five star, Cinnamon Grand Hotel for seven nights - transfer time approx 1 hour. Relax and acclimatise to your new surroundings. After breakfast enjoy a morning tour of Colombo, stopping for a beer at the Dutch Hospital complex on your way back to the hotel. Tonight, meet your fellow travellers and local tour manager for Welcome drinks & canapes. Return stadium transfers will be provided - approx 30 minutes each way. Tonight you are invited to dinner with your host and fellow travellers. Three course buffett and drinks included. Enjoy breakfast before preparing for your flight home. Please complete check out formalities before meeting in the hotel lobby for your transfer to Bandaranayake International Airport. All flights, Sri Lankan Visa, meals other than breakfast and any special tour dinners, travel insurance, pre-seating charges applied by airlines, excess luggage costs and items of a personal nature. When you book a flight inclusive package, you will receive financial protection under the ATOL scheme. We will quote the best available market fares at the time of booking. Only Sri Lankan Airlines fly direct to Colombo, so demand will be high. Alternative airlines, offering indirect flights include Emirates (via Dubai), Etihad (Abu Dhabi), Qatar (via Doha) and Jet Airways (via Mumbai). Flight options from Heathrow, Gatwick, Manchester & Birmingham are all possible depending on your choice of airline. To confirm your booking we need to collect a deposit payment equivalent to 25% of the total holiday price. This will increase if flights are added as the full cost of the flight needs to be collected at the time of booking. Our preferred method of payment is via bank transfer, quoting your invoice number (TSTXXXX) on all payments. Credit and debit cards are also accepted. Your final balance payment will be due by 30 July 2018. The person signing the booking form will be treated as doing so on behalf of, and with the consent of, all the persons for whom the booking is made and is responsible for ensuring due payment of all monies. Please ensure you return your signed booking form, together with a copy of the photograph page of all passports.